FITS data obtained from Hubble Legacy Archive. A six panel mosaic offering close detail of dust lanes and nucleus. After final cropping the full size image is 11333 x 7430 pixels. Copyright: Aldo Mottino and Carlos Colazo (EABA-OAC-UNC). Córdoba-Argentina: Long way to the south. The Panther is actually a Bok globule in the Rosette 4500 light years distant in the constellation of Monoceros. 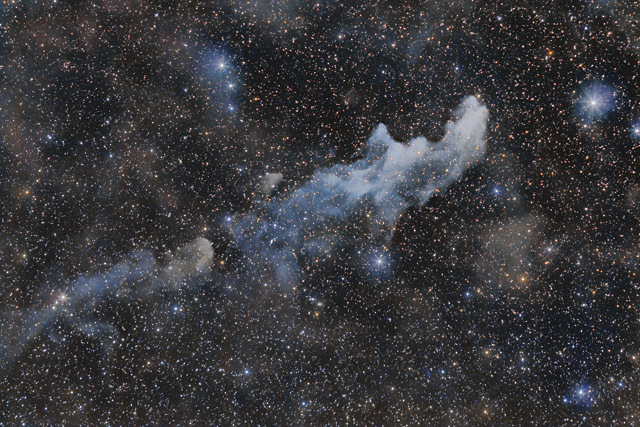 Bok globules are dark, dense molecular clouds from which star formation can take place. 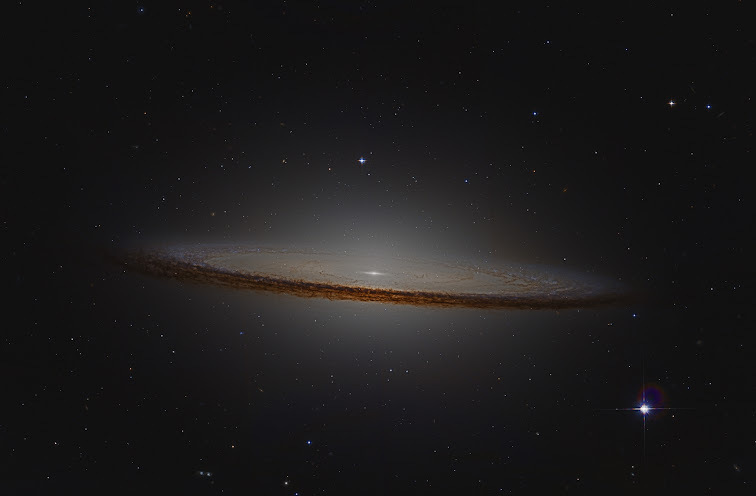 These were first observed by Bart Bok in the 1940’s. Bok speculated that these clouds were ‘similar to insect’s cocoons’ and would give way to new stars and star clusters as they underwent gravitational collapse. Last edited by owlice on Fri Mar 01, 2013 9:36 am, edited 1 time in total. Aligning the Moon, Venus, Jupiter, and Pleiades. Came across this older photo from 08/12/12. I remember driving home from Kitt Peak Observatory around 4 a.m and seeing this awesome alignment through my windshield. I pulled over and snapped a couple photos and jumped in the last exposure. This is NOT a composite. This is a single image, my right arm just moved slightly which made it look a little weird. ISS Flyover In Tucson, Arizona. Here is a composite image of 4 stacked images totaling of around 4 minutes of the ISS flying over Tucson, Arizona. It will also be visible tonight around 8:15PM. Look W-NW for a really fast moving light in the sky. 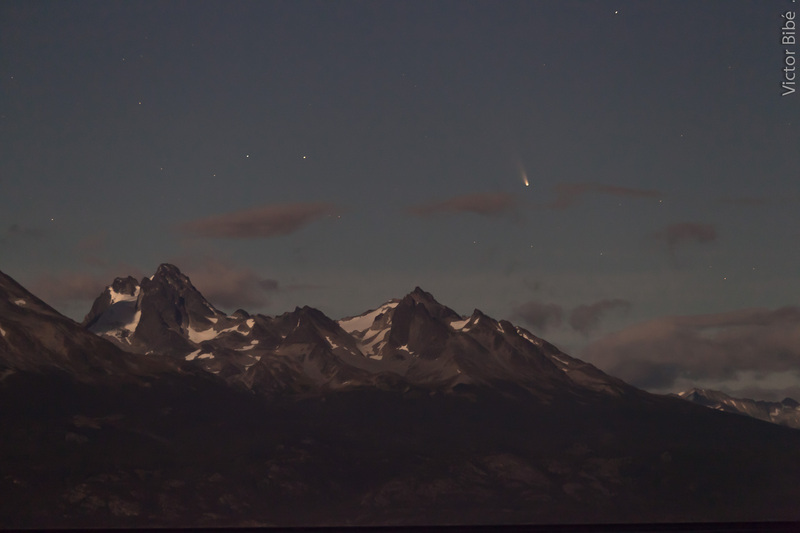 From dark suburban skies at the seaside resort town of Las Grutas (-40, -65) the comet was not visible to the unaided eye. Binoculars showed a hint of tail and a shade of green. It was very close to the globular cluster 47 Tuc for a couple of nights, giving a beautiful frame. Canon T1i, Canon lens EF 100 F2, 33x5 sec @f/2, ISO 3200, tripod mounted. Last edited by owlice on Fri Mar 01, 2013 9:39 am, edited 1 time in total.